Providing you the best range of charming trends designer chanderi silk sarees, chanderi silk sarees, royal chanderi silk sarees, charming chanderi silk sarees, designer chanderi silk sarees and trendy chanderi silk sarees with effective & timely delivery. We specialize in offering a designer collection of Chanderi Silk Charming Trends Designer Chanderi Silk Sarees, these Chanderi Silk Sarees come in different captivating designs and color patterns. These silk sarees are designed by vendors using silk fabric in adherence with market prevalent norms to ensure high quality. 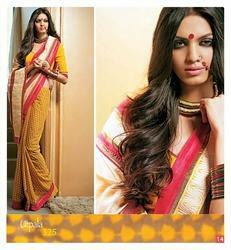 We have been able to offer a new range of Chanderi Silk Sarees. 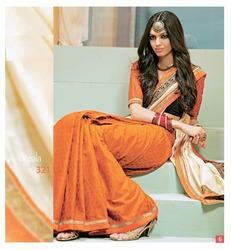 These sarees are very appealing and admired for their finest quality and fine finish. These silk sarees are designed by vendors using silk fabric in adherence with market prevalent norms to ensure high quality. We offer a unique collection of Royal Chanderi Silk Sarees, these Chanderi Silk Sarees made from top quality silk fabric and Quality threads. 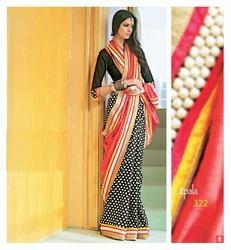 These sarees are available at pocket friendly rates. 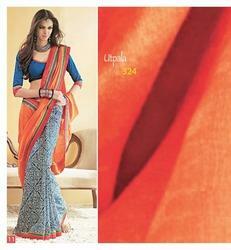 We are one of the leading manufacturer and exporter of Charming Chanderi Silk Sarees. 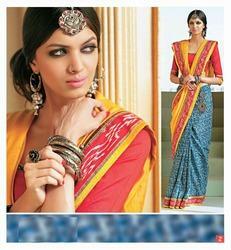 Our sarees are designed and developed using finest quality silk fabrics which are sourced from reliable vendors. It comes in different pattern, vibrant colors and graceful designs. We are offering a wide assortment of Designer Chanderi Silk Sarees, we offer is highly demanded by the clients for their availability in various colours and designs. This fabric is prepared by perfectly blending cotton, silk thread, and zari. We are engaged in offering a designer collection of Trendy Chanderi Silk Sarees, Available in innovative and contemporary prints, our exclusive assortment of Chanderi Fabrics is dyed using natural and azo free dyes and colors..
We are one of the prominent provider of a unique collection of Stylish Chanderi Silk Sarees. These silk sarees are designed by vendors using silk fabric in adherence with market prevalent norms to ensure high quality. 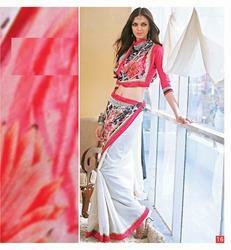 We are involved in offering a designer collection of royal Embroidered Chanderi Silk sarees. 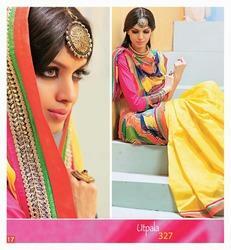 Our sarees are designed and developed using finest quality silk fabrics which are sourced from reliable vendors. We specialize in offering a designer collection of Elegant Look Designer Chanderi Silk Sarees, these Chanderi Silk Sarees come in different captivating designs and color patterns. These silk sarees are designed by vendors using silk fabric in adherence with market prevalent norms to ensure high quality. We present you with our exclusive range of Fancy Designer Chanderi Silk Sarees, these Chanderi Silk Sarees come in different captivating designs and color patterns.These silk sarees are designed by vendors using silk fabric in adherence with market prevalent norms to ensure high quality. 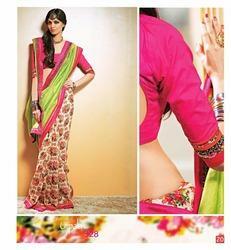 Looking for “Silk Designer Sarees”?